The problem with chasing your tail is that you can lose sight of where you are heading without getting any closer to where you want to be. Over the past six months much of the City of London and financial services industry in the UK has been locked in an often circular argument about the potential impact of Brexit on their business and how to adapt to it. At one end of the spectrum are those who believe that Brexit represents an unrivalled opportunity for the City to rediscover its former glory; at the other, an increasingly gloomy group who think Brexit will be something closer to Armageddon. The reality is somewhere in between. This article, based on our analysis of more than 50 reports on the impact of Brexit, dozens of interviews with market participants and policymakers, and the views of more than 100 guests at events we have hosted on Brexit, is an attempt to provide a short 10-point reality check on the impact of Brexit. In short, it won’t be bad as some of the Cassandras in the industry fear – but the short- and medium-term disruption will be such that any potential benefits for the City or for European financial markets from Brexit are unlikely to materialise anytime soon. There is no alternative to membership of the single market on the table that provides the same level of certainty or access to EU markets and customers for UK-based firms as current membership of the single market. 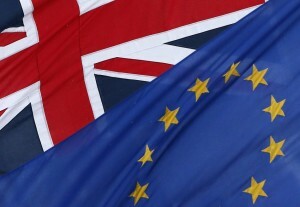 The UK’s decision that it will not seek to retain passporting or membership of the internal market means that access to EU markets will need to be based on some form of ‘equivalence’ (negotiated access to EU markets in exchange for the UK maintaining a regulatory framework that is broadly equivalent to the EU), or via UK-based firms setting up subsidiaries inside the EU. Recent discussions about ‘super-equivalence’ (some form of continuum to single market membership based on an expanded and more comprehensive version of current rules on equivalence) are promising, but are too theoretical and too distant a possibility for any UK-based firms to pin their hopes on. In the past few months the idea of a transition period to enable the City and its customers to adjust to a future settlement has dominated the debate. There are three main risks with a transition agreement. First, from a political perspective in the UK, a transition agreement of three to five years could look remarkably like extended membership of the EU. Second, there is no guarantee that the EU will agree to a transition arrangement, not least because the ticking clock will be a big factor in its negotiating strategy. And third, the breathing space could be used to try to negotiate an ideal outcome (see above) that may or may not be achievable, instead of giving the industry time to adjust to a certain if imperfect outcome. At the end of three to five years, the industry could be right back where it is today. The potential impact of Brexit on the City is not terribly complicated (as Rob Rooney, head of Morgan Stanley International, put it last year). Around one third of the business conducted in the City is EU-related, and perhaps one fifth is dependent on passports or membership of the single market. Without that access (see point one) much of this business will no longer be able to be done in London in its current form. Given the uncertainty over the terms and timing of a potential deal (see point two) banks and other firms have to assume they won’t have that access and that at least some of their EU-related will have to move to the EU. If you assume that half of this passport-dependent business moves, that’s 10% of the City’s business – or roughly 35,000 jobs. The only way for UK-based firms to guarantee continued access to markets and customers in the EU is for them to ensure that they have an appropriately staffed and capitalised subsidiary inside the EU. For some firms that already conduct business through legal entities in the EU (such as asset managers) this could be relatively painless. For many others (particularly investment banks and market infrastructure providers), it will be a lot more complicated and much more expensive, involving new licences and regulatory approvals, setting up subsidiaries with separate capital, and moving staff. These firms are planning on moving staff and operations because they have to, not because they want to (they’ve spent the past 20 years moving staff from across the EU to London), and they have to start that process now. For everyone, Brexit will be a huge legal and administrative headache: for example, firms will have to check that any contract that mentions the EU is still valid. Nobody knows how many staff or what sort of staff they will have to move. When banks say they may have to move up to 1,000 staff to the EU, they are trying to work out how many on a spectrum of a handful to a thousand they will end up actually moving. Some firms think if they set up a new subsidiary inside the EU with a few hundred staff they will be able to continue doing business pretty much as they do today, by routing business from London through that new EU entity. Others think they will need to have a more substantial presence in the EU. Almost everyone assumes they will have to move some people, and nobody is going to move everyone. Talk of an exodus of hundreds of thousands of jobs and banks ‘leaving London’ is almost certainly wide of the mark. There is a bigger risk in the medium to long-term. Over time, firms may face pressure from local regulators to increase the substance of their local EU operations. And many firms may use Brexit as a catalyst to rethink their business model, offsetting the cost of Brexit by moving some of the thousands of support staff from offices in Belfast, Birmingham, or Bournemouth to cheaper locations in Poland or perhaps India. They may even use Brexit as political cover for this restructuring. 6. Clearing – the end of the world as we know it? The nuclear scenario is that the European Central Bank will force the relocation of clearing of euro-denominated trading from London to inside the Eurozone (one report warned that this could lead to the loss of 232,000 jobs in the City). However, the ECB’s main concern is ensuring it has oversight of euro-denominated clearing. This could build on the existing information sharing agreement between the Bank of England and the ECB, and mirror the system for US clearing houses in the UK (which are overseen by UK regulators as well as the SEC and CFTC in the US). If – and it’s a big if – the EU agreed to a new treaty to give the powers to the ECB to enforce such a move, and LCH was forced to set up a clearing business inside the eurozone, firms based in the UK could continue to clear through it from London in the same way that firms outside the EU can clear via LCH today (unless the EU rewrote those rules as well). If the EU and ECB insisted on relocation, banks and investors would face a big increase in the cost of clearing which would be passed on to customers and shareholders. And the US has made it clear that it would retaliate by restricting access to clearing in dollars. 7. Is Paris the new London? Over the past few months, rival financial centres in the EU have been actively pitching to UK-based firms to relocate some of their business. This has prompted lots of dismissive comments that while Paris is nice place for a romantic weekend, you wouldn’t want to work there; or that no financial centre in Europe has the capacity to dislodge London’s dominant position. No-one – least of all cities like Dublin, Paris or Frankfurt – has made that claim. The bigger risk is that different financial centres each pick off a few percent here and there in different sectors (particularly if national regulators in the EU put pressure on EU firms with big operations in the City to repatriate some of their business). Those numbers will quickly add up and make a significant dent in London’s business, without necessarily denting its dominant position as a global financial centre. The argument that the rest of the EU needs access to the financial markets in the City more than the City needs access to the rest of the EU has been made with varying degrees of subtlety over the past few months. On the one hand, many politicians across the EU are increasingly aware of the extent to which companies, investors and the economies in the EU27 rely on access to the City. Depending on the sector, anything from a third to two thirds of capital markets activity in the EU27 is conducted in London. And there is a risk that a disorderly Brexit – failing to reach a deal at 5am after days of frantic negotiations in Brussels in early 2019 – could pose financial risks for the EU27 economy. On the other hand, there are plenty of workarounds that could enable UK-based firms to continue to provide much (if not all) of the same access to the City for their EU clients as before. And deep down, everyone knows that UK-based firms are not going to walk away from their customers in the EU27 because of the legal detail of whatever settlement is agreed: if those customers can’t come to London, some of London will go to them instead. Equally, it would be dangerous to assume that politicians in the EU will have rational economic self-interest at the front of their minds in the negotiations. Politics – such as holding the EU together, and horse-trading between the interests of the financial sector and, say, French farmers – will be just as important. 9. A golden age of de-regulation? Anyone who hopes that Brexit will mean that the UK will rewind the clock on financial regulation and abolish much of the EU framework is likely to be disappointed. First, there is little political appetite or mandate in the UK to de-regulate the financial services industry. Second, any significant changes to the spirit of regulation in the UK would torpedo current efforts to retain as much as access to EU markets as possible via equivalence. Third, many ‘EU regulations’ were conceived and developed in the UK, and UK regulators frequently apply rules that go above and beyond EU requirements. And fourth, there is no real appetite in large parts of the industry for another wave of regulatory reform that would increase the regulatory complexity of their business in Europe. And finally, the core of most financial regulation is set at a global level, so any significant de-regulation would have to involve the UK walking away from its existing international commitments. That said, there is some scope for UK regulators to tweak existing regulation within the existing EU framework, and post-Brexit the UK may consider setting up a separate ‘opt-in’ regime for domestic focused businesses. One of the biggest impacts of Brexit on the regulatory side is that the UK will lose a seat at the table and influence in shaping the future of EU financial regulation that UK-based firms may have to implement. On the other side of Brexit, the City of London will have to redouble its efforts to win business from the rest of the world, not least to make up for any loss of business from the EU. Given that roughly 90% of global economic growth over the next decade will come from developing economies, that makes sense. As emerging economies become wealthier, the demand for capital markets and asset management services will inevitably increase, and London has an unrivalled track record and natural advantages such as timezone, language and legal system in attracting this business. That’s why nearly two thirds of UK financial services exports already go to non-EU countries, which suggests that membership of the EU has not been a drag on London’s global reach. Post-Brexit the UK will have to balance its regulatory framework between retaining access to EU markets with competing with Singapore, Hong Kong and New York to attract global business. And it is too early to tell how the UK’s current position as a gateway to the EU for issuers, investors and intermediaries from outside of the EU will be affected.